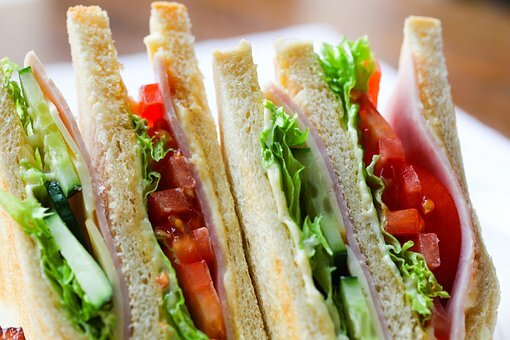 What was your favourite sandwich growing up? Listen to Neil and Leah chatting this morning about their favourite sandwich. 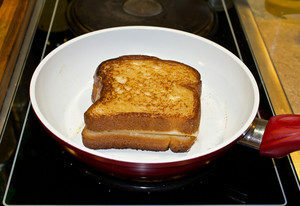 My favourite sandwich growing up was grilled cheese hands down. Yum, I could actually eat one right now. I wasn’t one of those kids who had to have my mom take off the crusts, I actually loved the crusts. My mom would do it for my brother and I would eat his crusts. There is just something so yummy about gooey cheese in between buttered and toasted bread that always brought a smile to my face. Oh and sometimes my mom would pair it with tomato soup which I loved as well. Sandwich anyone? There were many Sandwiches that i enjoyed growing up. One of my favourite was a fried Spam sandwich. 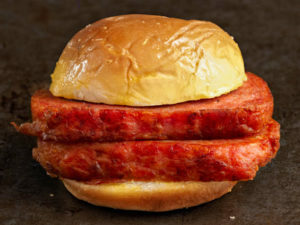 You would fry the Spam, let it cool while you toasted the bread and added ketchup for taste. Peanut Butter and Jelly Sandwiches were also good, but with the crusts cut off. The bread couldn’t be toasted either. No cut crusts – no eat! But hands down my favourite Sandwich growing up was a specially invented Grilled Cheese Sandwich my mother would make using Kraft Singles at first – but them mum introduced me to Havarti. Havarti Grilled Cheese is by far the best sandwich I ever had. I cannot explain if you have never had one.